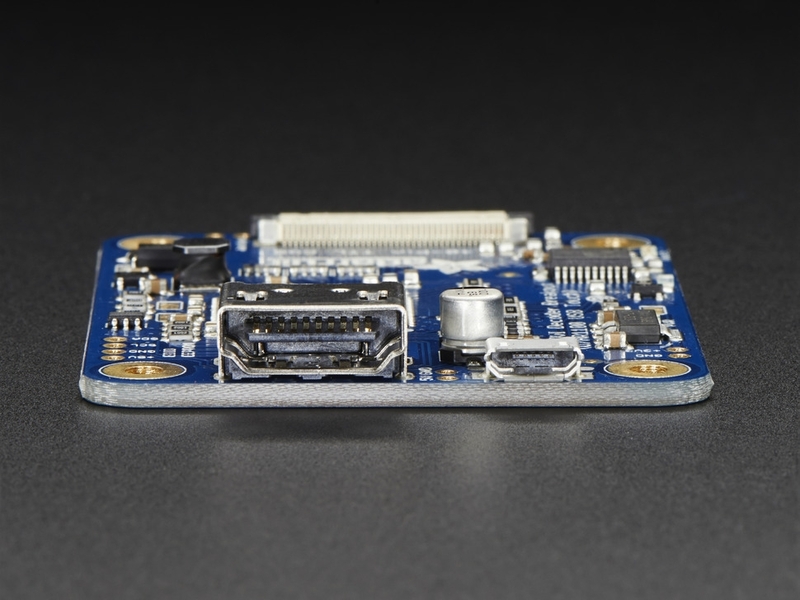 It's a mini HDMI decoder board! 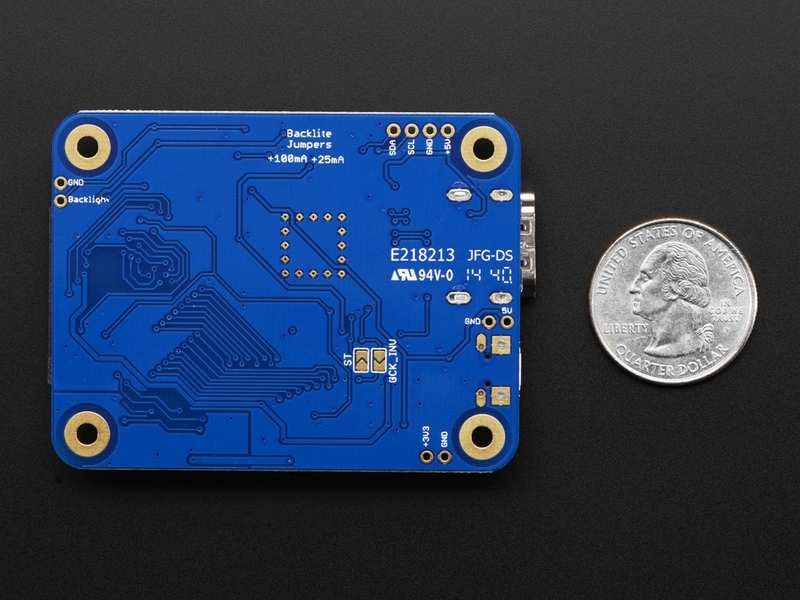 So small and simple, you can use this board as an all-in-one display driver for TTL displays, or perhaps decoding HDMI/DVI video for some other project. 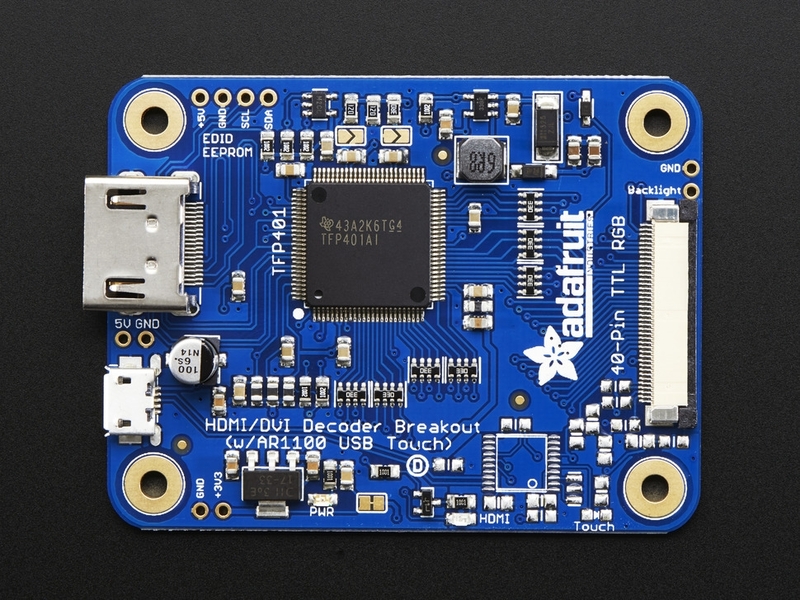 This breakout features the TFP401 for decoding video, and for the touch version, an AR1100 USB resistive touch screen driver. We have two versions, one is video only and one is video+touch. This one is video only! If you want a screen that you can poke at, get the +touch version and pair it with a screen that has a resistive touch overlay. The USB port then acts as both power and data, with the touch screen appearing like a USB mouse. This driver is designed specifically as a small and easy to use display driver for our 40-pin TTL displays. In particular, we suggest it for use with single board computers (or desktop/laptops!) 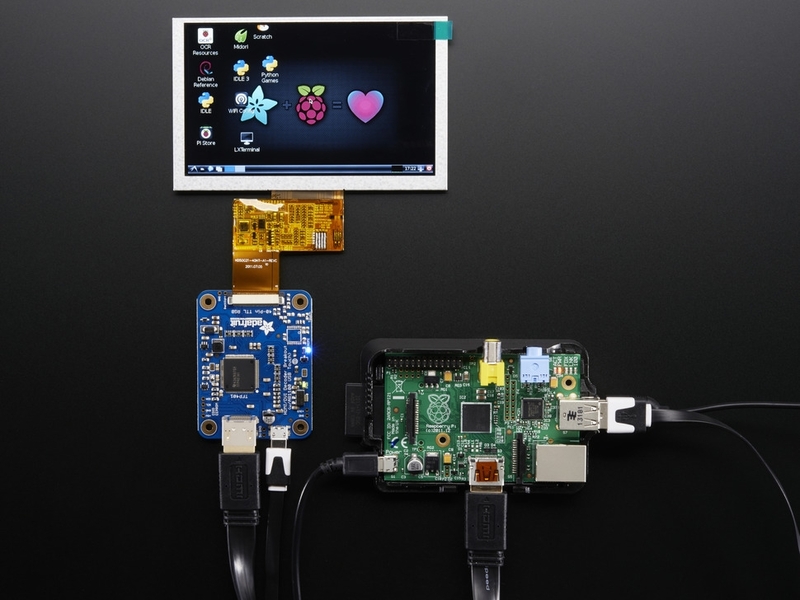 with DVI/HDMI output like the Raspberry Pi or BeagleBone Black. You can power the driver over USB and then feed it video via the HDMI port. It's a very small board so great for tucking into an enclosure. It can drive our 4.3" or 5.0" displays but we really only recommend the 5" 800x480 as some computers do not like the low resolution of the 4.3" and the TFP401 does not contain a video scaler, it will not resize/shrink video! This is just a decoder breakout, a display is not included! We recommend the 800x480 5" without touch. Please check out the detailed tutorial on adjusting the backlight brightness. We also have information on how to tweak the EDID if you want to use other display resolutions. 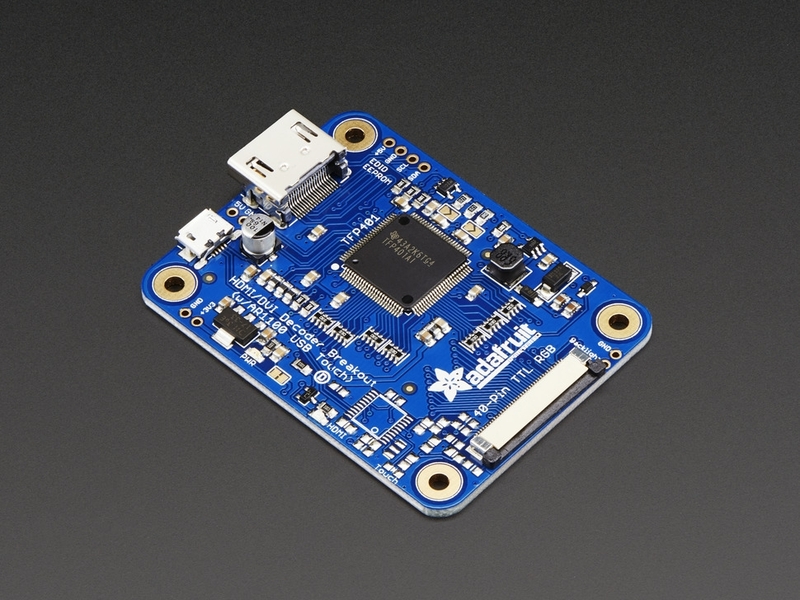 If you need a little more distance between the driver and display, check out the 40-pin FPC extension board. Dimensions: 51mm x 68mm x 8.5mm / 2" x 2.7" x 0.3"